I have joined the mason jar salad cult. So far so good. This was my work lunches for the last week: chickpeas, grape tomatoes, cucumber, feta cheese, roasted broccoli, and baby kale. 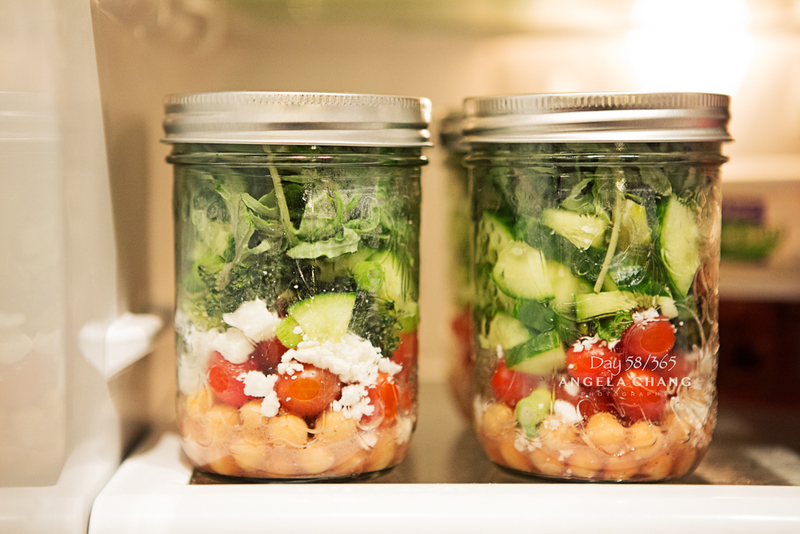 This entry was posted in 365, Cooking, Photography and tagged 365, mason jar, salad by angelasaito. Bookmark the permalink.